Get ready to ring in the New Year with The Twilight Zone. 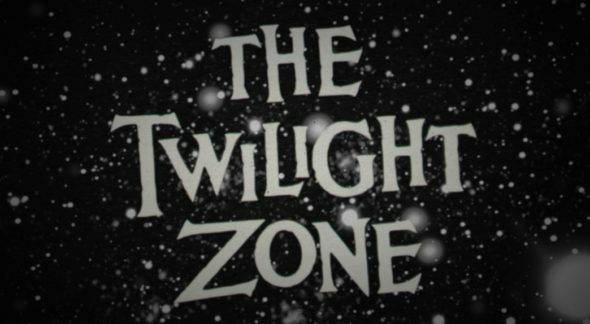 Syfy is airing its 22nd annual Twilight Zone marathon starting December 31, and there is a first for this year’s broadcast. Syfy is allowing fans of the series choose the episodes that will air during primetime on New Year’s Day. Find out more about this plan from the press release below. In addition, for the first time in its history of ‘The Twilight Zone’ marathons, Syfy will let fans choose which episodes will air during primetime on Sunday, January 1 (from 8/7c to 11/10c). Starting at 7:30/6:30c, viewers can cast their votes for one of two competing episodes by tweeting the specially created episode hashtags to the official Syfy handle, @Syfy. In all, 12 episodes will be in contention for 6 slots, with the winning episodes airing immediately following a 15-minute voting window. Do you plan to celebrate New Year’s Day with Twilight Zone episodes? Tell us what you think. More about: Syfy TV shows: canceled or renewed?, The Twilight Zone (1959), The Twilight Zone (1959): canceled or renewed?